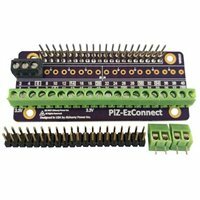 PiZ-EzConnect KIT allows you to customize and build your own GPIO connector for a Raspberry Pi or a Pi-clone (e.g. Asus Tinker, PiOrange etc. )All 40 pins used by the Raspberry Pi are exposed. Soldering is required.